Liz Fraser will be best remembered as the dizzy blonde who appeared in various guises in the early Carry On films in the first half of the 1960s, although she went on to amass 100 big and small-screen credits and several West End appearances. Born in Southwark, south London, to shop-owning parents, and a graduate of the (no longer extant) London School of Dramatic Art, she caught attention as Matron to Jimmy Edwards’ Professor James Edwards in the television school comedy Whack-O! (1957) and her performance as the sexually confident daughter of Peter Sellers’ militant shop steward father in the 1959 film satire on trades unions, I’m All Right Jack, gained her a BAFTA nomination. As an alluring siren to Tony Hancock, she made regular appearances in Hancock’s Half Hour on radio and television and worked with the comedian on his 1961 film The Rebel. She made her West End debut (alongside a young Michael Caine) in James Saunders’ Next Time I’ll Sing to You at the Arts Theatre in 1963 and returned to Theatreland the next year in the John Patrick comedy Everybody Loves Opal at the Vaudeville Theatre. In 1965, she was seen at the Royal Court in Charles Wood’s Cockade and as Nurse Sweetie alongside Alastair Sim in George Bernard Shaw’s Too True to Be Good at the Garrick. 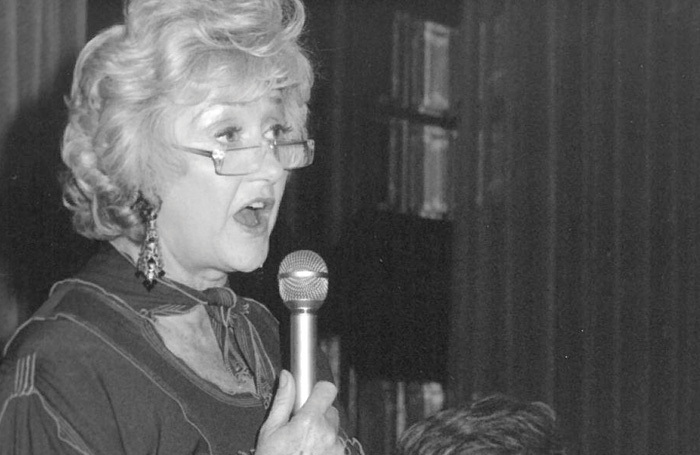 Although film and TV increasingly took priority, she returned often to the stage, including in the 1968 Peter Shaffer double bill The White Liars and Black Comedy at the Lyric Theatre. Among many tours in the 1970s were Ray Cooney and John Chapman’s Move Over Mrs Markham (1974), Lady Driver in Michael Frayn’s Donkeys’ Years (1978) and Mrs Lovett in Chris Bond’s Sweeney Todd (1982). Later theatre appearances included Miss Hannigan in Annie at Belgrade Theatre, Coventry (1984), Widow Corney in Oliver! at Queen’s Theatre, Hornchurch (1986) and Ruby in Bill Naughton’s Alfie at Octagon Theatre, Bolton (1992). She occasionally performed with her pet dog, Banjo the Amazing Basset, and her final screen appearance, in an episode of Midsomer Murders, was broadcast earlier this year on American television but has yet to be seen in the UK. 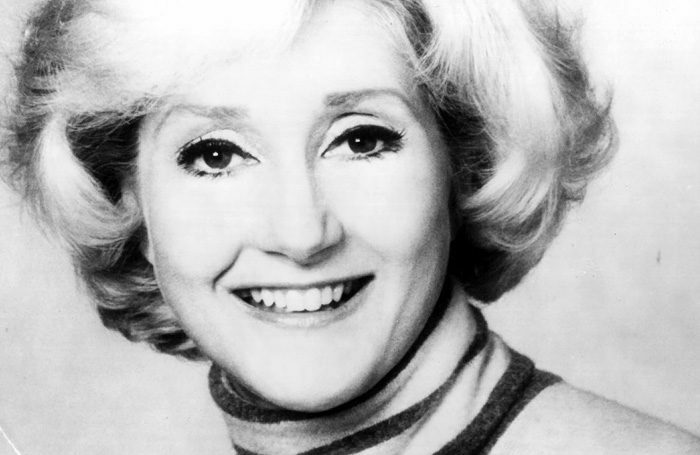 Liz Fraser was born Elizabeth Joan Winch on August 14, 1930, and died on September 6, aged 88. She was twice married, her second husband being the television director and producer Bill Hitchcock, who died in 1974.